Toddlers are just starting to become really interested in what’s happening in the world around them, as they endeavor to mold themselves into the environment they live in. This is a critical time to slow them down, and get them to begin thinking. 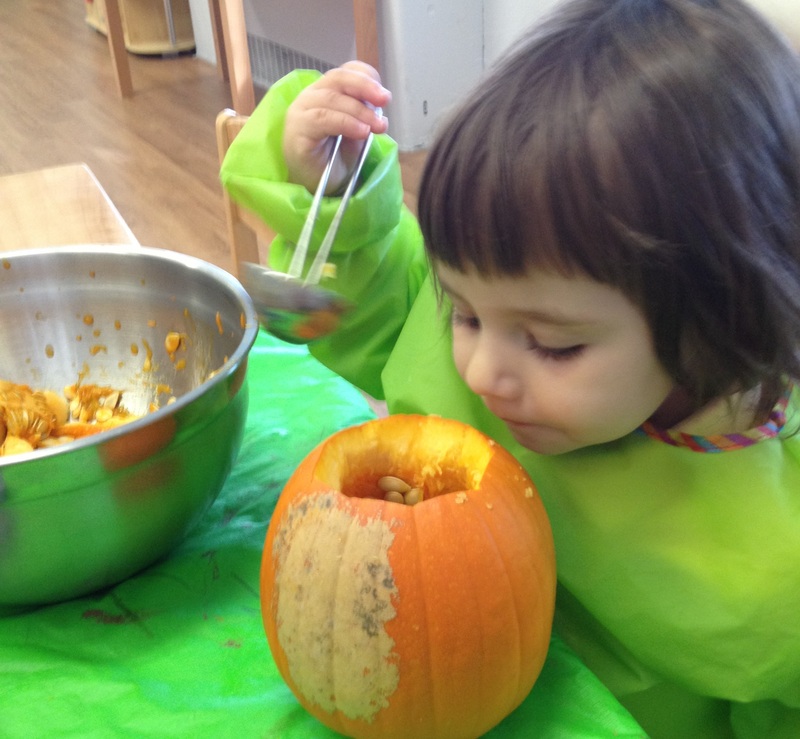 Sensory-driven experiential learning helps toddlers to capture concepts, as at least 3 senses – vision, hearing, and touch – are mobilized to deliver information to the brain. The focus on expression enhances the understanding, as toddlers utilize their limited vocabulary and knowledge, trying hard to “show and tell”. Traditionally it has been difficult for teachers to quantify how each child is learning (digesting the taught concept). VINCI Blended Learning enables the assessment not only periodically but during the learning process, such that each child’s strength and weakness can be quickly identified, and personalized learning is delivered. Everyday, toddlers follow the weekly theme, with weekly questions brought home, to be explored with mom and dad. It is a fun time for the whole family. Each week, reading material is also sent home. Parents follow the program to help their toddlers get familiar with how the English language is constructed, and become used to high frequency words. In a typical toddler program, you might find 2 situations. One is rigid type which is mostly teacher-led where children aren’t given room to take initiatives or to be authentic. They can’t touch “it” until taught by the teacher. Smashing a tower would not be allowed as it’s not how the material was designed for. The one type is mostly child-led learning where children roam around happy without knowing how/what they have learned or achieved. We all know the pros and cons of these 2 approaches. VINCI Toddler Program combines teacher-led and child-led approaches by allocating specific time for each of the styles. 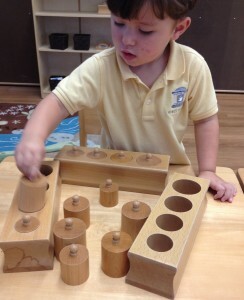 During personalized learning time, children use Montessori materials as a way to explore and learn concepts. Yet they are allowed to come up with their own ways of doing it (including smashing the tower when they get there). We want our children to build that confidence that nothing is impossible, as long as we remain considerate and responsible for what we do. Children who are strong in Math simply were exposed to Math early. If a child considers Math as part of life and enjoys problem-solving, there is no reason why the child can’t excel. As toddlers are in a critical phase of building their language both expressive and receptive, VINCI Toddler Class allocates specific time for group-based exploration and learning, during which children learn to listen, to express their ideas, and to learn acceptable social behaviors such as taking the turn. Weekly Show-n-Tell might be hard for toddlers to begin when they start the program, often it’s just about a quick pointing-and-naming. Gradually, they learn from each other, and they get modeling from teachers, such that by the end of the program, toddlers can express themselves in full sentences, and perhaps tell a short story about their favorite things.